South of Saigon there is a quiet beach lined with seafood restaurants and people dotting the beach digging for clams. We will dine on local seafood and finish off the meal with Vietnamese hotpot. A very special treat that will give you the energy to push on to Ben Tre where you will stay in a very cozy little home stay tucked away in the jungle, away from the chaos of the city. Experience local craftspeople making items in the heart of the Delta. 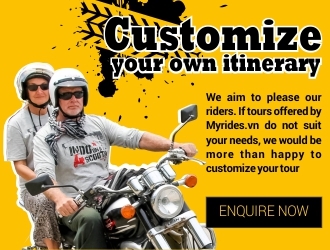 Ride boats, ferries, canoes, motorbike taxis, and motorbikes. This day covers it all except for maybe a water buffalo when it comes to transportation. The highlight of the trip will be the Cai Rang floating market filled with hundreds of boats selling goods and produce from all over the Delta. Be well rested, because it kicks off early. 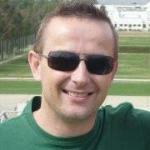 In the morning your guide will meet you at the My rides office. Here you’ll pick up your bike and have a quick briefing on the tour before we head south out of Ho Chi Minh City to Can Giuoc and Go Cong. Along the way, we’ll drive through green rice paddies, over quiet rivers and past scenes of local daily life. 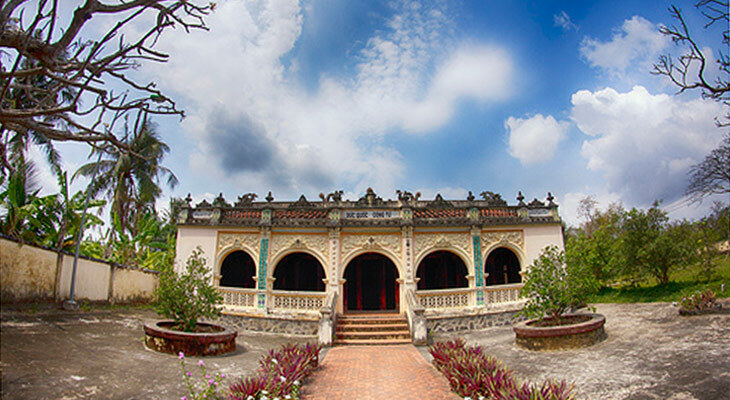 In Go Cong, we’ll stop for a visit at the Lăng Hoàng Gia royal palace and a nearby cherry plantation. 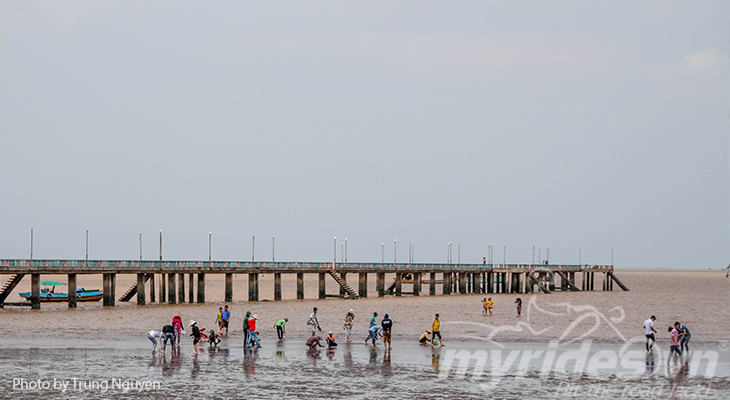 Lunch is served in a local restaurant set on stilts above a muddy beach, where you can watch the hundreds of clam collectors at work along the shoreline. After lunch we’ll drive along the river to Ben Tre, the area known as the ‘kingdom of coconuts’. We’ll check in at a homestay on the river, where you’ll enjoy a delicious Vietnamese dinner. After breakfast at the homestay, we’ll start the morning with a stroll through the market and a visit to a workshop where women handcraft brooms used all around southern Vietnam. From there we’ll drive 25 kilometers to the Ben Tre Wharf and take a boat to Ben Tre. Situated on a branch of the Mekong River, the people of Ben Tre make their living through the manufacture of coconut products. 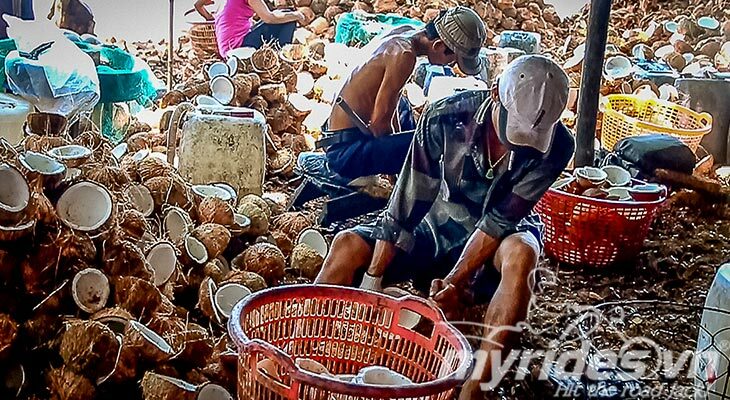 At one of the coconut processing plants, you’ll witness each stage of the coconut’s journey from the tree to products such as oil, candies and even kitchen utensils. 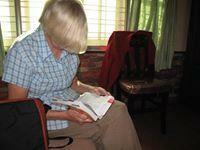 We’ll take a short walk to a mat-weaving workshop before stopping for lunch in a traditional Mekong Delta house. After lunch, we’ll stop at a brick factory where you can have a look around the enormous kilns. A scenic boat ride takes us back to the bikes for the drive to Can Tho where we’ll stay overnight. After breakfast in Can Tho, we’ll board a boat to explore the bustling floating market at Cai Rang. One of the biggest and most exciting floating markets in the Mekong Delta, in the early mornings Cai Rang is filled with hundreds of boats selling food, vegetables, fruits and other produce. 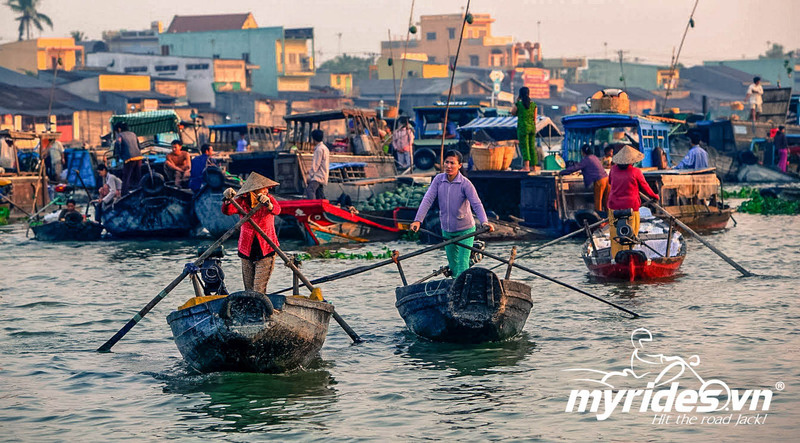 You will not only witness the colourful scenes at the floating market but also have a glimpse of life in the area, as we pass through small canals where the locals go about their daily lives on the water’s edge. After seeing the floating market, we’ll stop at a rice noodle factory to see how this Vietnamese staple is made. Lunch is served at a local restaurant on the way back to Ho Chi Minh City. The trip ends around 5pm.